Readymade Garments Industry is the leading foreign currency earning sectors of Bangladesh. Now-a-days Bangladesh financial sector is very much dependent upon this sector. The annual export income of garments sector is driven from two sources one is woven garments and others is knit wear. Redimet garments are a 100% export oriented garments. Redimet garments exports various garments product in foreign market. The company makes shirts, ladies dress, shorts, trousers, and others for U.S.A, U.K, European countries. 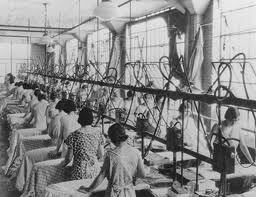 They use high tech machineries to produce a quality garments product. They also add new machineries to increase their production line. They have a mission and the vision is profit maximization. The merchandising philosophy of Redimet garments is to keep good relation with their buyers. Sometimes the company face problem. So, here Redimet garments can recruit high skilled people with giving high salary. The Redimet garments should improve their product quality, packing system, internal environment, and other merchandising activities to satisfy their foreign buyers. This report is prepared on “Merchandising activities and buyer satisfaction of Redimet garments. The OCP report helps the reader to know about the merchandising activities, practiced in Redimet garments And the buyer satisfaction level towards the merchandiser.